Debbie has been working in the holistic health field for approximately 5 years as a professional manual therapist, SCENAR and cranio-sacral therapist. With her 18 year background in education, she wanted to pursue her passions for holistic healing and energy medicine and combine them with her talents in education. Debbie earned her 1200 hour, CMT-P, professional manual therapist certification, at the Blue Heron Academy of Healing Arts in Grand Rapids, MI in 2005. Her SCENAR training in 2004, through Advanced - Level II, was under Dr. Elena Rassomakina, from Belgium. 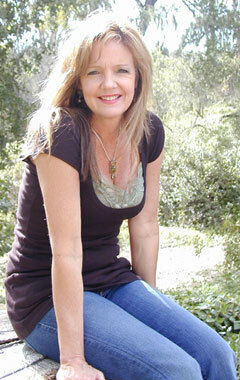 She then attended the Sacred Spaces Program for cranio-sacral training, run nationally by Kathy Holloway. This cranio-sacral training is rooted in the foundations of the classic UpLedger Institute with integration of a very gentle “profound neutral” healing approach. Debbie’s philosophy is that health is achieved when a person is able to find balance in all areas of body, mind, and spirit. Tapping into the profound, natural intelligence and powerful healing mechanisms of each person’s body, the synergy of the SCENAR and cranio-sacral therapy stimulate and fully support this innate healing potential. Manual therapy is incorporated deep into the musco-skeletal system to fully facilitate all facets of the necessary movement, mobility and healing potential. Additionally, her mission is to bring the SCENAR into people’s lives and homes as a ground breaking, full spectrum healing device, fully intended for professional as well as home use through her sales and training program. 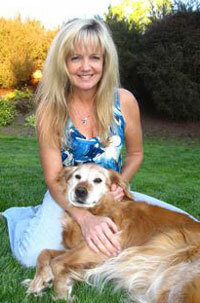 Debbie currently practices in Santa Barbara and in The Santa Ynez valley. Manual Therapy is a more clinical form of massage therapy that involves deep tissue work and comprehensive joint treatment so as to relieve pain and discomfort as well as to increase mobility and assist in restoring the patient’s range of motion. Manual Therapy involves many modalities (treatment aids) that help with all aspects of the healing process to include hot/cold packs, infra-red and laser light therapy to stimulate photo-chemical healing processes, liniments to increase circulation and ease pain and inflammation, castor oil packs to reduce scar tissue and eliminate toxins, as well as SCENAR therapy to stimulate the deep and powerful healing capabilities within the central and peripheral nervous systems. At the core of all her work are the therapeutic benefits of deep relaxation. With stress now known as the number one degenerative factor in the body, manual therapy allows the body to enter into a stress-reduced healing state. SCENAR Therapy is a very powerful and effective form of electro-therapy that complements manual therapy by stimulating the body’s own healing responses. The SCENAR is a hand held device that resembles a remote control with a small, flat metal contact surface that is placed on different areas of the patient’s body such as the neck, spine, face, hands, feet, etc. The treatment is very relaxing and painless. The SCENAR communicates from these areas on the body to the patient’s central and peripheral nervous system stimulating the release of neuropeptides. These neuropeptides are the body’s natural healing chemicals. Generally a chronic condition can take anywhere from 9 – 15 treatments and the average recovery is between 80 and 100%. An acute condition can generally be treated in 6 treatments or less. Treatments are generally 30 minutes, 2-3 times a week the first week or two, followed by 1 – 2 times a week thereafter gradually reaching a full healing response in 6-7 weeks. The primary and unique quality of the SCENAR is that each signal is different from the preceding one, therefore the reaction by the body does not diminish and there is no repetitive signal or process. The SCENAR is very effective in pain management, anti-inflammatory effects, normalization of metabolic processes (decreases cholesterol, glucose level normalization, regulation of protein synthesis), regulation of the immune system, normalization of the hormone balance, reparation effect, styptic effect, anti-edema effect, and the general effects of good sleep, good appetite, and good mood. Cranio-Sacral therapy honors the self-healing mechanisms of the body, mind and spirit. It reflects the original explorations of A.T. Still, the founder of osteopathy; W.G. Sutherland, who developed cranial osteopathy, and R. Becker, who further explored the unique healing processes present in all of us. All three physicians believed that good health reflects the integration of the energies of body, mind and spirit. At the core of our healing mechanisms is the cerebrospinal fluid that surrounds and nourishes the brain and spinal cord. Good flow of this fluid, as well as blood flow, is critical for our health and motion of all our body systems: including vascular, visceral, nervous, lymphatic and musculoskeletal systems. Cranio-sacral therapy uses gentle touch to palpate these fluids and encourage their flow. This process nourishes all tissues of the body; allowing the release of old restrictions from disease, surgery or trauma. Restriction patterns in the body can be a core cause of chronic pain symptoms such as headaches, neck and back aches, arm or leg pains that have not responded to medications or other therapies. Infrared Sauna services, sales, and leases are available from my office. Service includes sauna, towels, water and electrolytes. Charge is $45 per session. For more information on the sauna, including testimonials, or google “infrared sauna and health benefits” or your specific issues, there is a lot of information out there. * 24-hour cancellation required unless emergency or illness based. Far-Infrared Thermal Accupressure Massage Bed, works with 4 alternative medicine principles that support a healthy, relaxed, aligned body. Chiropractic, Massage, Moxibustion, and Jade stone are the methods behind these principles. The Chiropractic effects help relieve compressed nerves by correcting spinal alignment. Regular massage of the spine helps the back stay strong and durable. Moxibustion effect is a method utilizing heat from far-infrared light emitters to stimulate pressure points which promote the body's ability to heal itself, increase circulation and provide deep relaxation. Jade is a stone that transmits a level of radiant far-infrared heat that is beneficial to the body when heated. The internal and external projectors of Ceragem are comprised of jade to optimize the effectiveness of radiant far-infrared heat. Debbie is a truly gifted therapist who has a great awareness of the body and really understands how to promote healing within it. She has treated me consistently over the last two years and I highly recommend her services and encourage anyone who is experiencing pain to contact Debbie. Her scenar therapy is by far the most therapeutic experience I have ever had, and it is the only treatment that has actually stopped my chronic hip pain. I appreciate her professionalism, and her dedication to her clients is exemplary. I am extremely confident that after the first session, you will be completely satisfied and know that you have found the right therapist. I have been seeing Debbie for treatments for over a year. My back and leg pain has significantly declined. I now go weeks to months without pain. I know that her treatments, especially the cranial sacral therapy, are a major reason for my recovery. I was diagnosed as having Progressive Supranuclear Palsy (PSP) in October 2006. This is a disorder that is something like Parkinson’s disease, except worse. There is no cure at this time and no medications for relief. My husband and I have been trying to make the best of this that we can. We started doing SCENAR, Manual Therapy and Cranio-Sacral Therapy to see if this would help in any way. We feel that the treatments have helped by slowing the progression of the disorder and giving us both some mental hope and comfort. Debbie has been doing treatments on me and I feel much better after them, most of the time. The use of the SCENAR machine has relieved some of the pain in my lip area due to a neuralgic condition that is quite painful. It also has helped my problem of swallowing as this is one of the side effects of this disorder. We recommend Debbie to anyone that has problems of this nature. She is very good and works well with her clients. I have had a chronic neuromuscular condition for the last twenty years. Over these years I have worked with many therapists, and I can say without hesitation that of all of them, Debbie’s bodywork has had the greatest positive impact on my physical and emotional well-being. Utilizing the scenar, therapeutic massage, cranial sacral work and energy work Debbie seems to understand intuitively when to use each modality to greatest effect. I leave each session with her feeling a deep sense of peace and healing. In addition, she has a strong yoga background and is able to recommend poses and stretches tailored to my physical challenges. I have found these recommendations very helpful. I highly recommend Debbie for anyone who would like assistance in their search for health. I've developed moderate to extreme neuropathy during the type of chemotherapy I was given in my fight with cancer. I have completed thirteen sesssions with Debbie. She has used the SCENAR device on me, which has worked wonders. Before I used to take medication three times a day and the discomfort was still there. The pills made me feel very spacey and it was hard to concentrate. Now I am off the medication and the discomfort is 70% better! Debbie has been great and her knowledge of the human body and the SCENAR device quickly gained my confidence. I highly recommend anyone that has issues with damaged nerves to come in and have a consultation with Debbie and see if it is right for them.